GroupWise is a collaboration platform from Micro Focus. Organizations use it as it provides emailing, instant messaging and other such services. But everyone knows there is no email client that offers as many features and flexibility as MS Outlook. So people switch their data to Outlook all the times. Also, one may need data archived in GroupWise in Outlook as well. This necessitates GroupWise to Outlook conversion. This task gets well executed with specialized software. Only authentic tools must be chosen letting go of the lure of pirated tools. Though free, not only is piracy illegal and unethical, but it also puts your data and system at a huge risk. Data can and should never be risked. The repercussions can be enormous bringing losses of many kinds. Why use only professional GroupWise to Outlook Conversion? Use trusted tools for GroupWise to PST conversion. The data archived in GroupWise may contain emails along with attachments, messages, events, and tasks, etc. A user might want to shift the entire database to PST in Outlook. Many of you must have accidentally deleted some data that you required. We keep doing that on our android devices too. But the data stored in GroupWise needs to be recovered. GroupWise to Outlook conversion can accomplish that but only if executed with the right tool. Shoviv GroupWise to Outlook converter should be chosen if a user wishes to recover data from the trash/bin and all the other data as well. This tool lets a user transfer all the data from GroupWise archive to MS Outlook. If a tool can transfer emails along with attributes, metadata, and all the attachments during GroupWise to MS Outlook conversion then the job can be termed completed. This tool promises this and offers a lot of other features. A user might want to shift multiple mailboxes from GroupWise to Outlook. It can be easily accomplished with this tool. Before doing any such task, a user must understand that it being no rocket science can be easily understood and accomplished. The tools exist to take over the difficult part and let the users do what they wish to with their data. This tool has a friendly interface. If it would have been a person, you could call it congenial and easy going. That is how this tool takes you through the task. 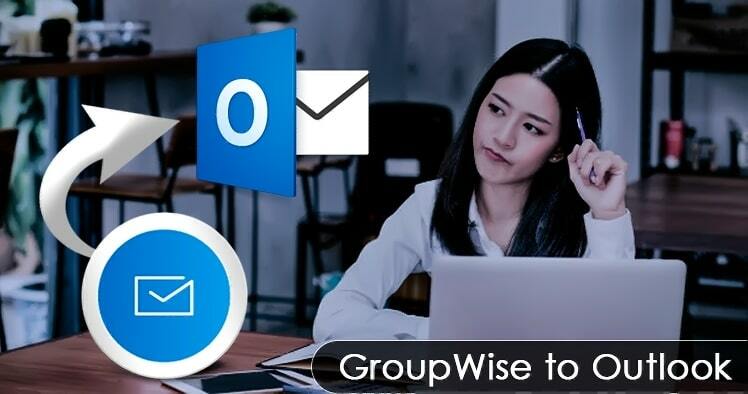 GroupWise to Outlook converter tool can be easily bought and used as the instructions are simple and execution really fast. If you have multiple folders to be converted, the tool will transfer them with ease. As mentioned earlier, the tool from Shoviv can also take the data from trash/bin of GroupWise and convert it to PST files. The archive of GroupWise can be shifted in entirely during GroupWise to Outlook data conversion with this tool. Imagine having a drawer where you keep all your letters. You have some new letters. You can store them in the same drawer. Similarly, with this tool, you can shift data in existing PST files or in new files as per your need. GroupWise to Outlook conversion should no longer be viewed as a difficult task as this tool has made it very convenient. No long methods or complex tools need to be used. A simple process with this software has taken all the complications and time wastage away. GroupWise to PST conversion also ensures that Unicode characters get converted too. Business deals happen across borders and cultures now as well as communication that have transcended borders. Language should not be a barrier and data migration should not have any barriers as well. This is why this GroupWise to Outlook PST conversion software make sure that it converts Unicode characters keeping the data structure intact. Another flexibility that this tool brings is to allow users to even convert GroupWise data to EML and MSG formats. These formats are compatible with many email clients and systems. Thus GroupWise to Outlook conversion, a user gets a chance to convert data into a format compatible with other clients. It makes this tool a true value for money product. This flexibility and safety coupled with easy operation make it a number one choice. Few things make it the ultimate tool for GroupWise to PST conversion. With changing times, privacy has become a huge concern. Not only does a person want to keep some information private but also some data needs to be secured from prying eyes. The tool allows making PST files secured by a password. A user may save the file to any preferred location. Limitations should be forgotten with this tool. A user can transfer files from GroupWise to Outlook unlimited number of times. This feature is available with the licensed version. A trial version has also been provided on the website to help users make the choice. The free trial can be used for GroupWise to Outlook conversion. Though It restricts the number of conversions to 25 files per folder and that is good number to use and test the software. All the versions of MS Outlook are supported with this tool. Even with the simplest tasks, questions arise. Help must be available at all times to solve these questions. This GroupWise to Outlook Conversion tool comes with a great support system. A technical team caters to the user’s needs round the clock answering their queries and helping them execute the task. The tool is affordable thus enabling people from all segments easily buy it. The trial version comes with all the features that the licensed version possesses except the restricted number of transfers. GroupWise to PST conversion allows users to save all the data from GroupWise archives. As the users may know, PST files have a limited size. So larger files from GroupWise get splitted into smaller PST files and the entire data gets converted ensuring zero data loss. Start with GroupWise to PST conversion tool now and enjoy the free trial. For unlimited access to conversions, buy the affordable licensed version which gives you a lifetime access.